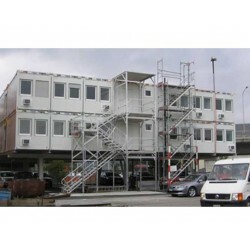 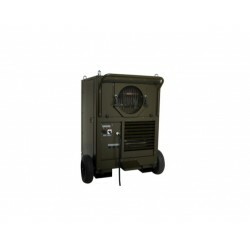 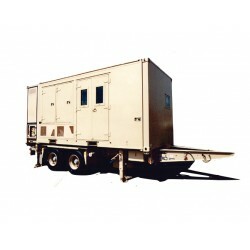 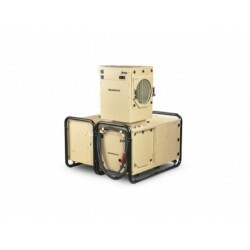 The AC-M18 Air Conditioner is a transportable unit, developed primarily to provide air conditioning in temporary or transportable buildings or tents. 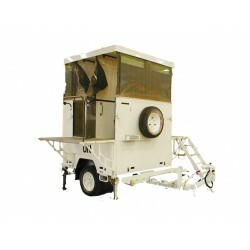 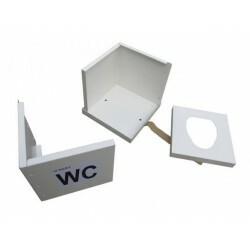 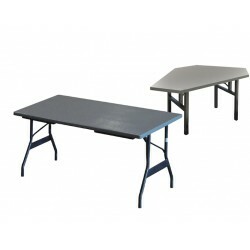 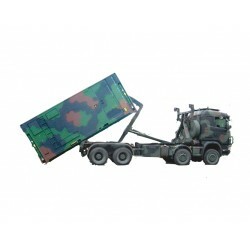 It is a small light weight unit made out of aluminium and built into a rigid steel frame. 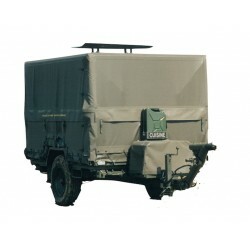 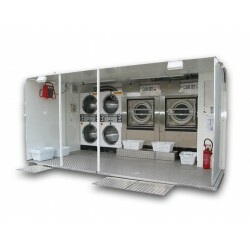 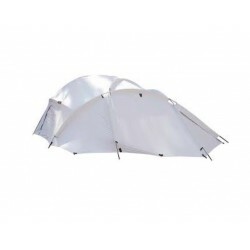 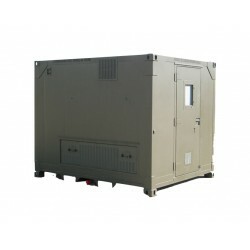 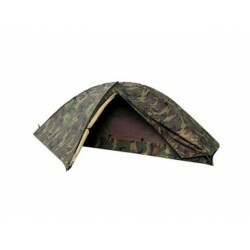 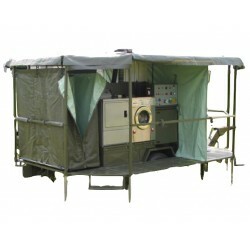 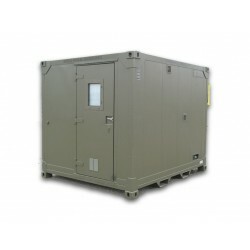 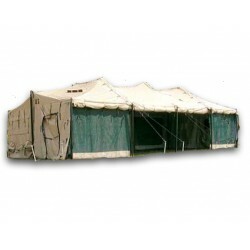 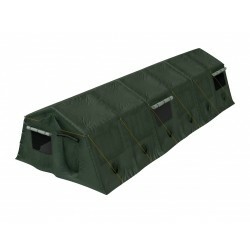 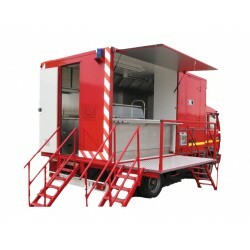 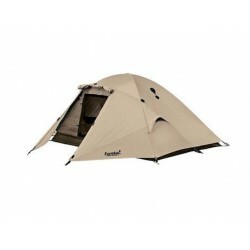 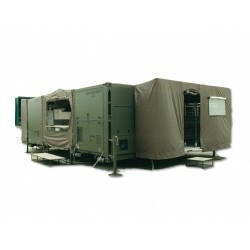 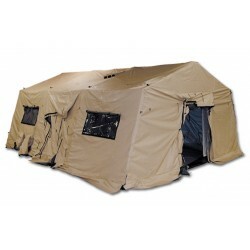 The unit is designed to be placed outside, with supply air and return air ducted to the tent. 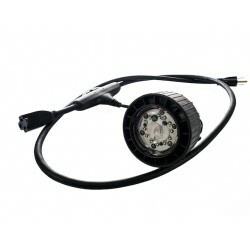 The function of the AC-M18 is based on a cooling circuit and two powerful fans. 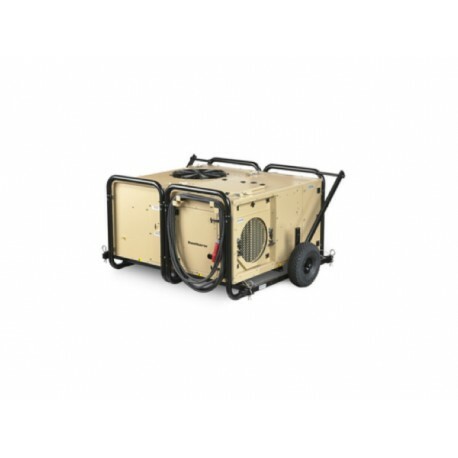 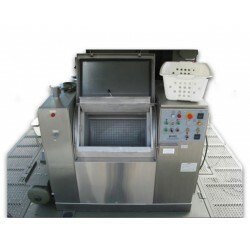 The evaporator section contains the evaporator and a radial fan, which draws warm internal air of the tent through the cold evaporator and blows out the cooled air through the side or the top of the unit. 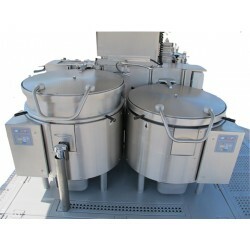 The condenser section contains two condenser coils and a large axial fan, returning the heat taken from the internal air to the outside atmosphere. 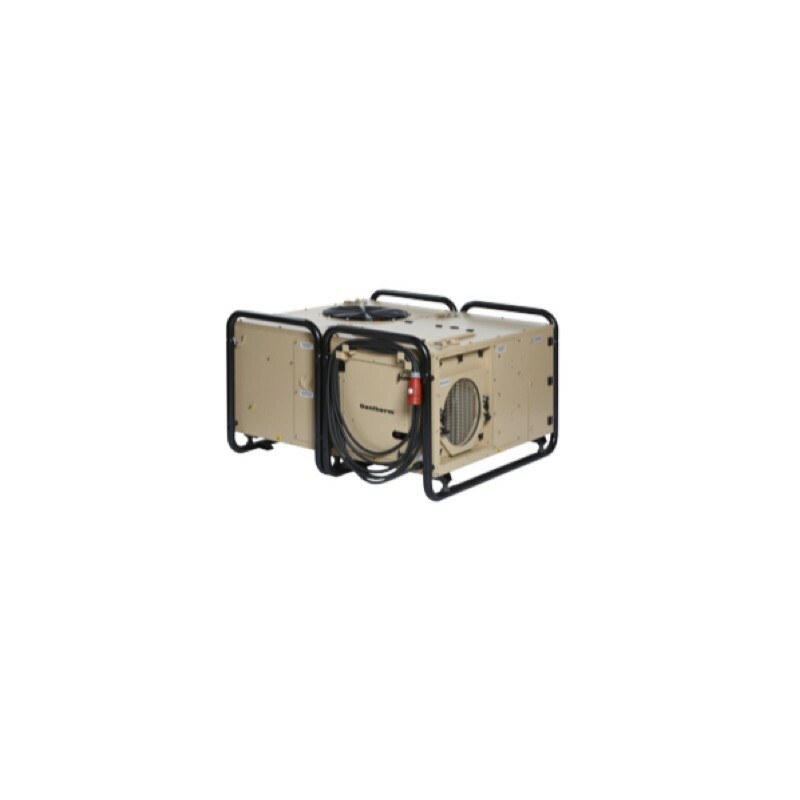 The AC-M18 can be equipped with an electric heating coil, to provide heating for example for night time when temperatures can fall under 20°C. 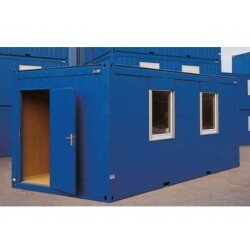 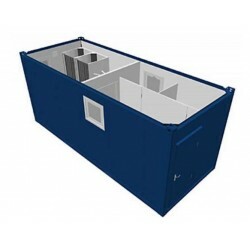 Designed for optimal utilisation of a standard 20” ISO container (24 pcs.). 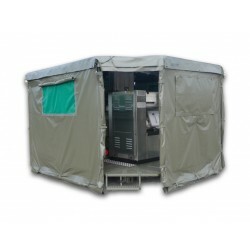 Option with built in heating will heat when ambient temperature is below 20°C. 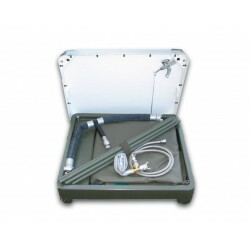 G3 filtration of the internal air. 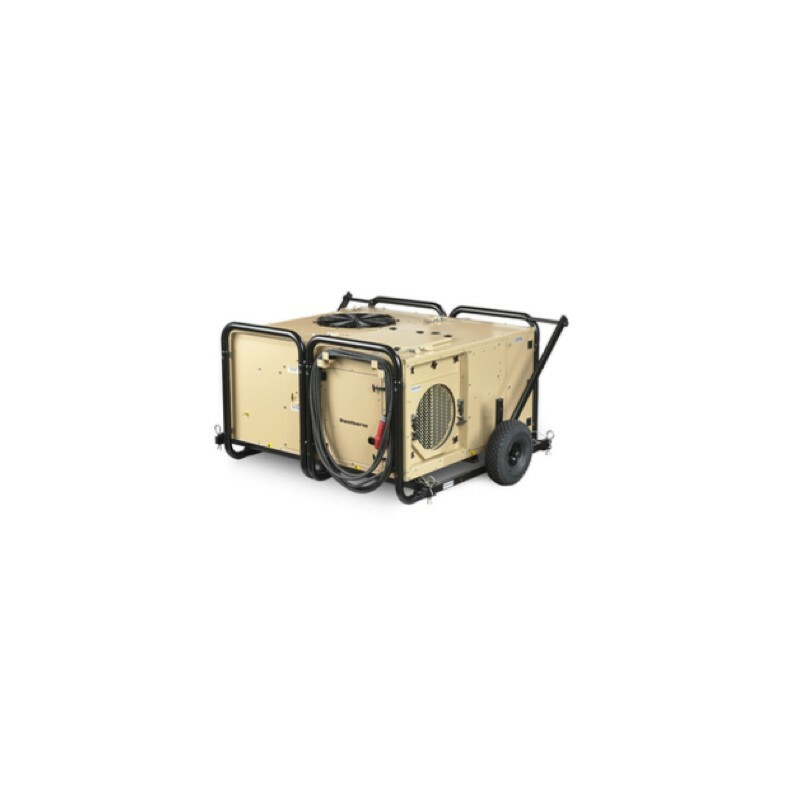 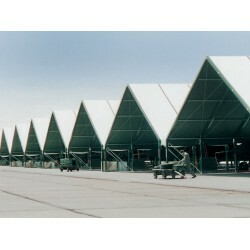 Insulated flexible ducts Ø400 mm for exhaust and return air openings.